It’s less than 24 hours before Amazon holds an event about its “video business” in New York. While rumors of a free video streaming service have recently surfaced, most expect the thrust of the announcement to be centered on a TV set-top box. 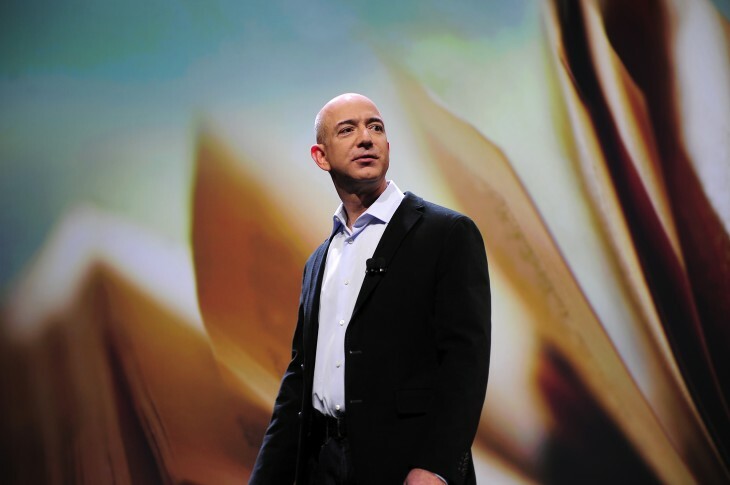 It’s a brave new world for Amazon. The company has developed a wide range of services for consuming content, but so far its hardware efforts have been limited to e-readers and tablets. Set-top boxes and tiny streaming dongles are an entirely new realm for CEO Jeff Bezos and his massive e-commerce empire. But how does Amazon compete? The company is entering a space already rife with competition. 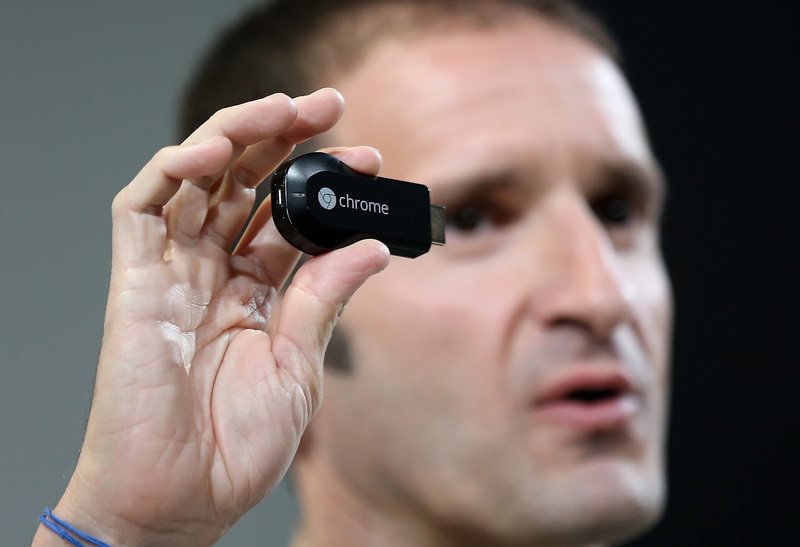 At the low-end, Google is making inroads with its Chromecast streaming dongle. The $35 price-tag is compelling and app support is growing rapidly. Roku is hoping for similar success with its new Streaming Stick, which has a comparable physical footprint and offers over 1,000 entertainment channels for $49.99. When it launched the first Kindle Fire tablets, Amazon stood out by undercutting its rivals. With a streaming dongle, however, it’s difficult to see the company going far below the prices set by Google and Roku. It’s not impossible though, and Amazon has a war-chest large enough to be able to absorb an initial loss for each unit. The cost of the device will therefore be critical. If Amazon can’t compete on price, a ‘light’ version of its media streaming services could be a powerful alternative. If Amazon were to offer a variant of Prime Instant Video, which either cut back on content, restricted usage or was supported by ads, that could be its unique selling point. The Wall Street Journal said Amazon was considering a free, ad-supported model, but the e-commerce giant has since denied the report in an email to Variety. While a number of music streaming companies have experimented with free access, few have done the same for the TV and movie mediums. Hulu is a clear trailblazer here though, giving viewers the choice between a Hulu Plus subscription and a free, ad-supported experience. If Amazon was able to forge the necessary partnerships with content providers, or absorb the costs without any consequences, a similar service is certainly possible. At the high-end are ‘next-gen’ gaming consoles such as the Xbox One and PlayStation 4, followed by their discounted predecessors. Below those are the Apple TV and Roku’s premium set-top boxes which sell for up to $100. It’s unlikely that Amazon will take on Microsoft and Sony, but the segment where Apple and Roku operate is ripe for disruption. 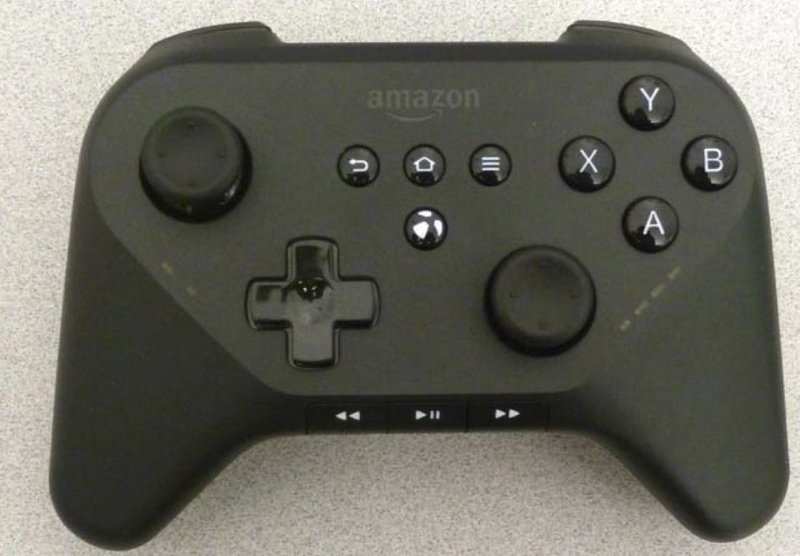 Neither platform accommodates video games at the moment and if rumors are to be believed, Amazon’s effort will run on a heavily forked version of Android. Those reports were supported last month by an Amazon-branded controller that surfaced on ANATEL, Brazil’s equivalent of the FCC. While it’s not the prettiest gamepad, the photos reveal a standard button configuration with two analog sticks, A, B, X and Y buttons, shoulder buttons and triggers. There are also media playback buttons at the bottom and face buttons for navigating the UI. Video games could be the differentiator that Amazon needs. Android apps are typically cheaper than digital console titles, which should be appealing to families. OUYA targets a similar market, but its poor controller, lacklustre library and lack of streaming options appears to have limited its appeal. That gives Amazon a space to grow into. Google and Apple are yet to offer TV streaming devices with gaming capabilities, which would gift Amazon a vital head start. Provided it can deliver where OUYA failed, there’s a real chance for Amazon to distinguish itself here. Admittedly, good software and hardware design won’t be enough to make Amazon’s streaming device a resounding success. They’re important factors though that could certainly help the company to stand out from its competitors. Cable boxes are notorious for sporting bland, uninspired designs and terrible software experiences. What Microsoft, Roku and Apple offer are unquestionably superior, but nor are they perfect at the moment. It’s a space that’s still crying out for innovation, although we’re starting to see progress with projects such as Fan TV and LG’s webOS for smart TVs. If Amazon can offer an experience that is not only different, but immediately intuitive and accessible to consumers, it stands a good chance of drawing in people that have previously avoided modern set-top boxes. There’s a chance Amazon won’t unveil new hardware tomorrow. It seems unlikely given the plethora of rumors, yet the possibility exists. But even if the device isn’t unveiled tomorrow, these are all areas where Amazon could still differentiate with a future set-top box. This is one of the most competitive markets that Amazon could enter at present, but with the right device, it could do what it so often does and give its rivals a product to truly be scared of.